Created in 2002 by Genesee District Library, the Black History Month Brunch is one of Genesee County’s premier events. It provides an opportunity for the community to come together to celebrate the contributions of African Americans to world history. The brunch also inspires residents to reach their full potential and to make a difference in our community, state and nation. A portion of proceeds from this ticketed event helps support the GDL’s Summer Reading Challenge that reaches over 10,000 children in Genesee County. The sponsorships of GDL Foundation, Hamilton Community Health Network and Children’s Book Contributor, University of Michigan-Flint and donated funds will provide 300 books to GDL’s youngest patrons who participate in this year’s Summer Reading Challenge. The 2019 Brunch was held on Saturday, February 2 at the Genesys Banquet and Conference Center. Entertainment was provided by Grammy-nominated gospel singer, Anita Wilson. Here are the 2019 Award of Excellence and Partner in Progress Honorees. Elected 1st District County Commissioner in November 2014, Nolden was reelected in 2016 and 2018. He served the City of Flint as 3rd Ward Councilman from 2009-2014. Commissioner Nolden chairs the Governmental Operations Committee and is vice-chairperson of the Public Works Committee. He has served for seven years as volunteer director of Berston Field House, where he is responsible for day-to-day operations. He was named executive director in April of 2016. Nolden is an active member of Omega Psi Phi Fraternity, Inc. Omicron Rho Chapter and Foss Ave Baptist Church, serving on the Usher and Youth boards. He also serves on the Genesee County Land Bank Board. He is a member of Eureka Lodge No. 16, Saginaw Valley Consistory No. 71 and Oman Temple No. 72 Masonic organizations. Nolden holds a Bachelor of Science Degree in Elementary Education from Central State University, Wilberforce, OH and a Master of Public Administration in Education Leadership, graduating with honors from the University of Michigan-Flint. He is a proud product of Flint Community Schools, graduating from Flint Central High School in 1983. He was also a teacher with the Flint Community Schools from 1992-2014. Nolden has a daughter and two grandchildren. 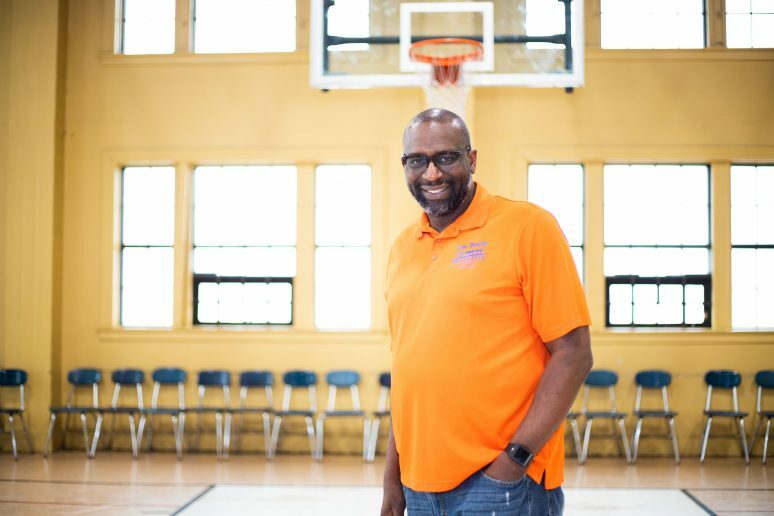 A former Flint school teacher, administrator, basketball and track coach, Turner taught English at Central High School for 26 years, and served as the varsity basketball coach for ten years. He was the varsity track coach for five years, leading his team to a state championship. He continued his career as Director of Physical Education, Recreation and Athletics for the Flint Board of Education, and as an assistant principal at Flint Southwestern Academy. He was also the varsity basketball coach at the former Flint Academy for ten years. Turner serves on numerous boards and committees, including the Flint Olympian and CANUSA Games Executive Committee, Sports Council of Greater Flint, Atwood Stadium Authority, Kearsley Park Renovation Committee and the CRIM Fitness Foundation Board of Directors. He also served on the Bioethics Committee of McLaren Medical Center, the Golf Committee of Big Brothers Big Sisters of Greater Flint, the Foundation for Flint Community Schools and the Bruin Club of Mott Community College. Turner is the chairperson of the Outreach and Social Action Committee of Woodside Church of Flint, whose primary focus is anti-mass incarceration and other social justice issues. Clif and his wife of 58 years, Linda, have three children and several grandchildren. In August 2014, Dr. Walker-Griffea became the seventh president of Mott Community College. Under her leadership, MCC was, once again, selected by the Aspen Institute’s College Excellence Program as one of the nation’s top community colleges. 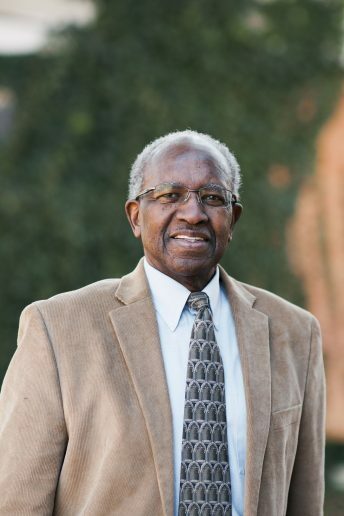 Prior to joining the MCC family, Dr. Walker-Griffea served as senior vice president for student services at Montgomery College in Rockville, MD; vice president of student affairs at Thomas Nelson Community College in Hampton, VA; dean of student development at Houston Community College – Central Campus; and interim dean of health and environmental sciences at Spokane Community College. 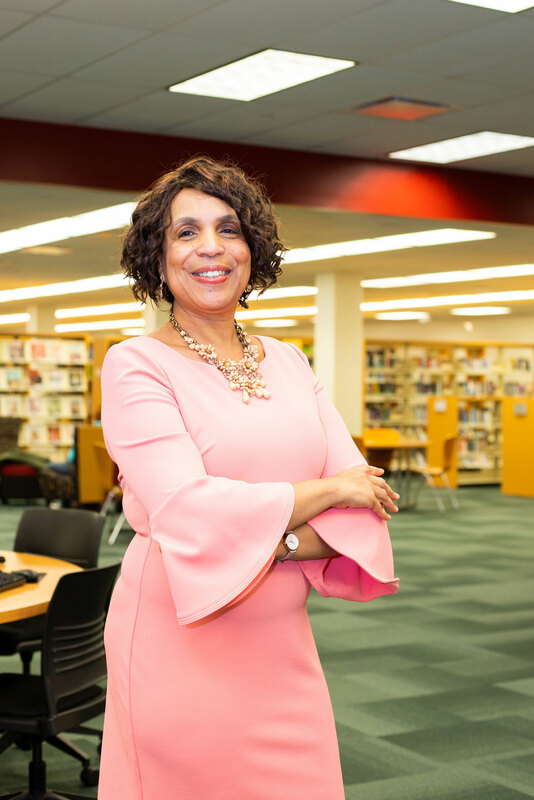 Locally, she serves on the board of directors for the Greater Flint Health Coalition, McLaren-Flint, Carriage Town Ministries, Metro Community Development, and the Michigan Community College Association (MCCA). In addition, Dr. Walker-Griffea is a member of several committees for the Flint & Genesee Chamber of Commerce including the Regional Leadership Council. She is a proud member of Alpha Kappa Alpha Sorority, Inc., Flint Rotary Club and the Flint Chapter of the NAACP. She serves nationally as the immediate past president for the American Association for Women in Community Colleges and as a member of the American Association of Community Colleges (AACC) Board of Directors, as well as chair of AACC’s College Readiness Commission. She also chairs the Oklahoma State University Division of Institutional Diversity, Advisory Council. 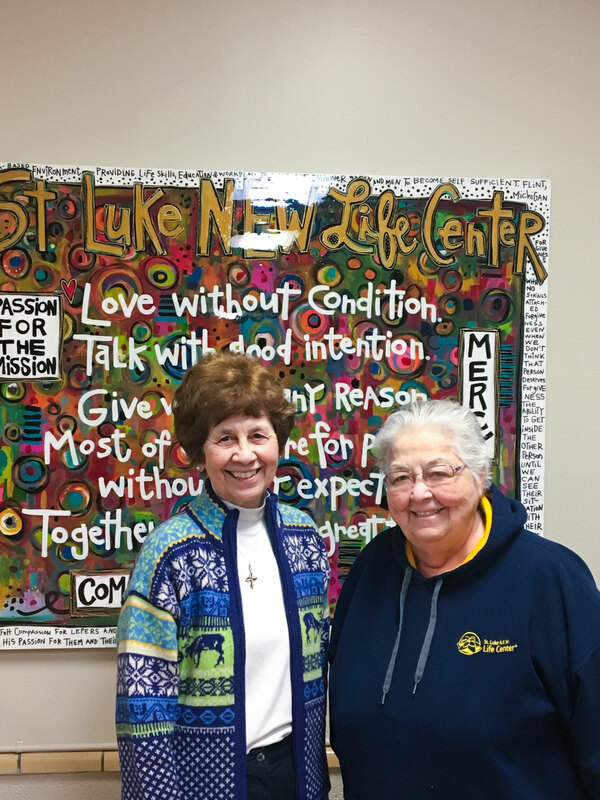 Sister Carol Weber and Sister Judy Blake founded the St. Luke N.E.W. Life Center in 2002, beginning with a six-year street ministry providing used clothes and a meal of hot dogs, chips and Sunny Delight to anyone in need. One day in January, they were approached by a woman looking for newborn baby clothes and learned about a woman who had given birth alone the night before in an abandoned home. They provided her with the items she needed and decided then and there to do more for the women and children of Flint. The birth of that boy on the streets of Flint was the birth of the St. Luke N.E.W. Life Center. The Center has grown into a safe place where women and men come for food, job training and education. St. Luke N.E.W. Life Center runs one of six accredited literacy programs under the Dominican Rea Literacy Corporation and sponsored by Adrian Dominican Sisters. They also provide several social enterprise businesses in sewing, lawn care, a hoop house, pallet-making and in the very near future, a bakery. Their goal is to train women and men for employment and help them remove enough barriers so that they will keep a job once they get it. Sister Carol is an Adrian Dominican Sister with a Doctor of Ministry Degree, and Sister Judy is a Sister of Saint Joseph with a Doctor of Ministry Degree.